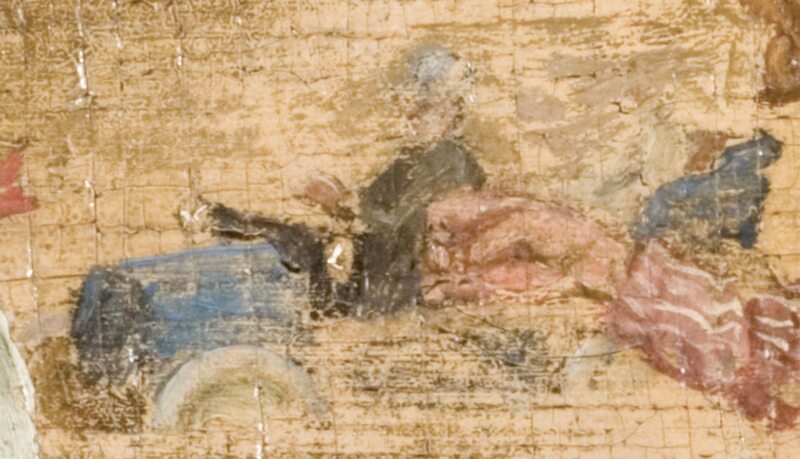 Unlike the other artists in The Fox Chase, Henry C. White is not shown running but rather driving his 1903 Knox air-cooled automobile. White’s car was one of the first in Old Lyme. 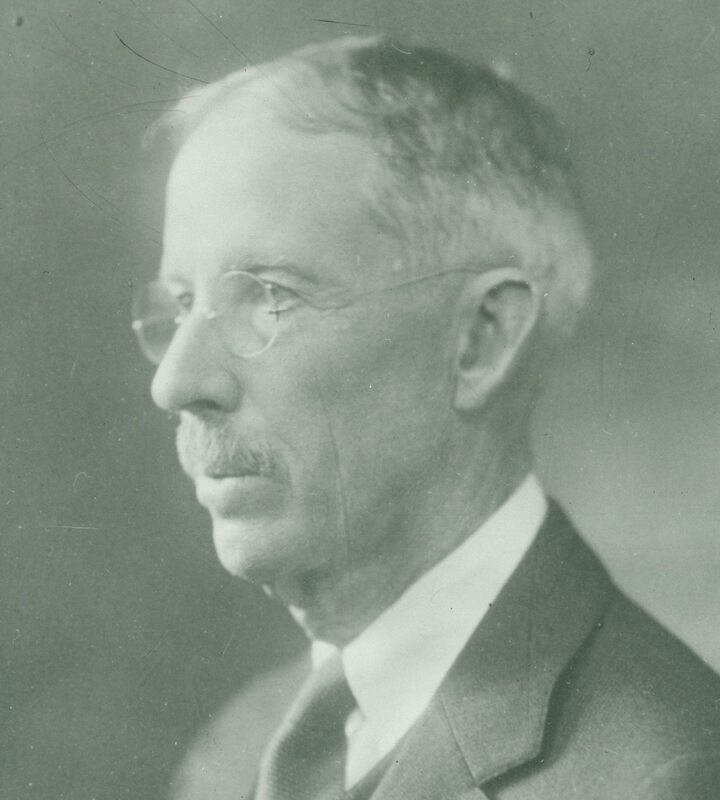 He would drive it down from Hartford, where he lived until 1914, before moving to the seaside at Pleasant Beach in Waterford. 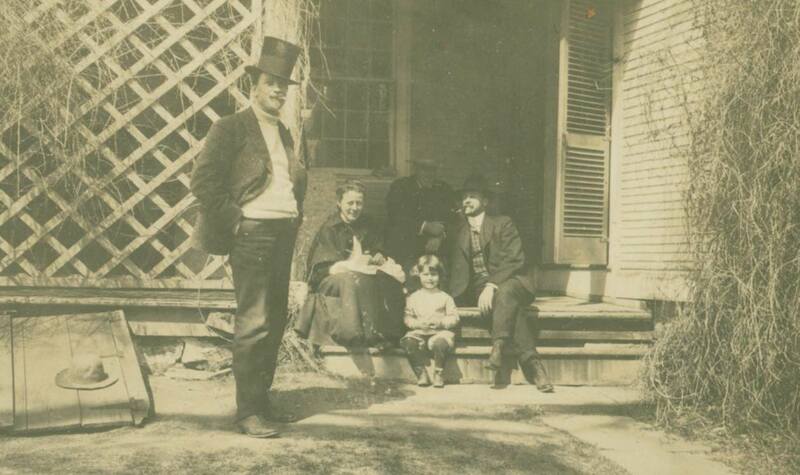 He first visited Old Lyme in the spring of 1903 and stayed in the boardinghouse with his family. Later, he rented another building called “The Brickstore” just up the road. 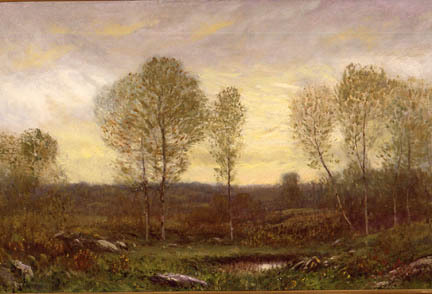 Quite different from the artists who came for the summer, White preferred the transitional seasons of spring and fall, complaining that the summer foliage was like “too much spinach!” So he planned his travels to the shore in such a way as to extend the length of the season by moving from Hartford, to Old Lyme, to Waterford, in succession. In the early 1900s Old Lyme was a sleepy, country village with a very few carriages or horses going by now and then a yoke of oxen from a farm nearby. My father was the first person to introduce a serpent in to this idyllic Eden by having bought a 1903 Knox air-cooled automobile — one of the earliest models — a run about which steered with a tiller instead of a wheel and which of course attracted much attention. 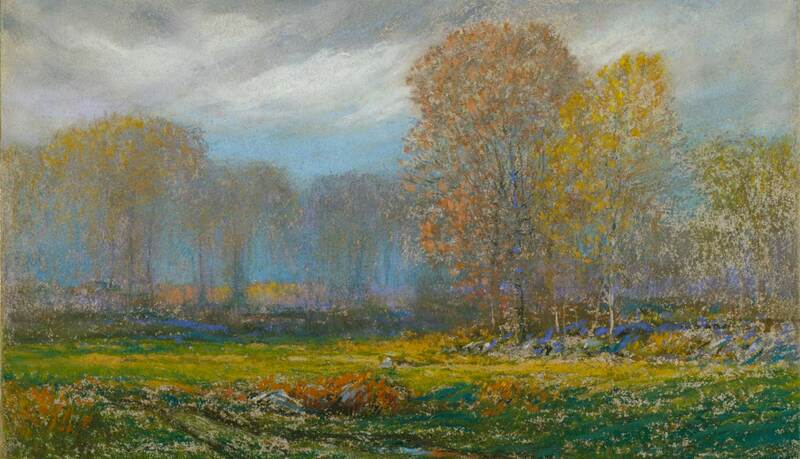 The son of a Hartford Judge, Henry White began his art career when only a teenager taking private lessons with the landscape artist Dwight Tryon. In the mid-1880s, he enrolled in the Art Students League in New York, to continue his studies with Tryon and other professional artists such as Kenyon Cox and George de Forest Brush. Afterward, he married and became the drawing teacher at Hartford High School. 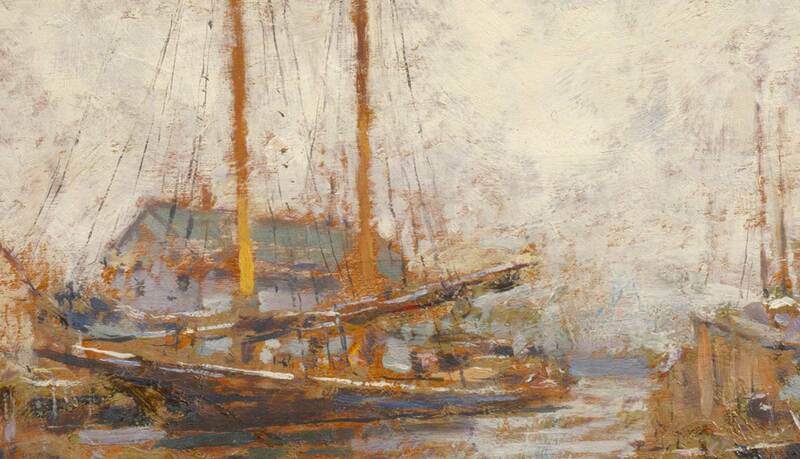 When composing a painting, “it was the fleeting, evanescent effects that really moved and inspired him.” Despite this connection to the artistic motivations of Impressionism, he never considered himself a follower of the movement, and his paintings are more in keeping with the earlier tonalists. Both Henry and his son Nelson (although not technically a member of the Lyme Art Colony) contributed painted panels to the dining room, which were installed in 1954. 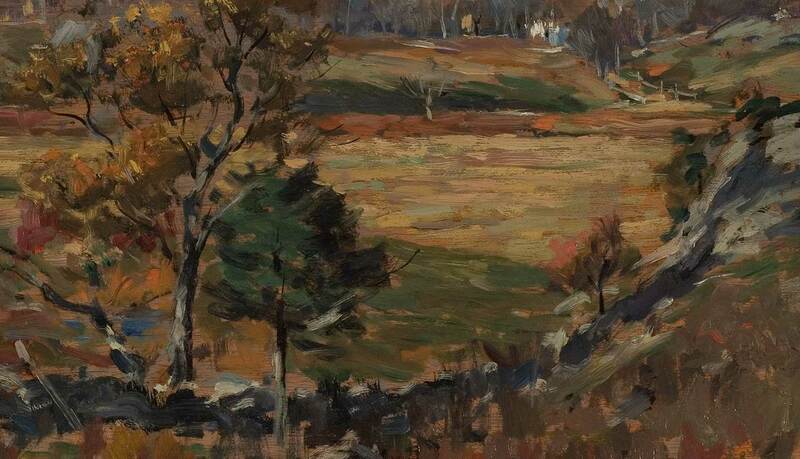 What he loved best were the pastures of Southern New England in the later autumn after the deciduous trees had shed their leaves and great white oaks and graceful birches stood singly or in groups on gently rolling meadows or moorlands with here and there a glacial boulder or granite ledge out-cropping above the soil.